Ummm... hello!! I am so excited that there is finally a mainstream brand that is hopping on the nail art train! I have been blogging with nail art for over 7 years and just recently indie brands started helping us with cuticle clean up. This year, Sally Hansen, brought a whole new game to my party. 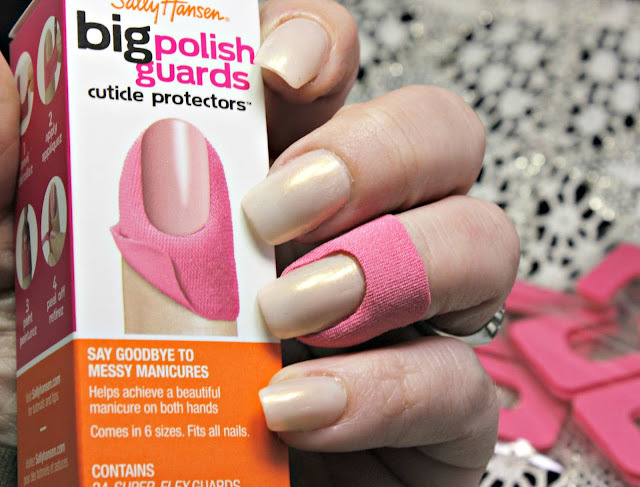 Big Polish Guards are a fabric (think fabric bandaids) cuticle protector. This package contains 24 strips. What I love about these? They are flexible and not messy. You can shape them around your finger so it fits you no matter what size your cuticle is. When you go to remove the cuticle protectors, it makes for an even easier clean up. There is no wait time for the protector to wait, like a traditional latex cover. The best thing about Big Polish Guards is that you can pick them up for about $6. Of course, you know I had to test these out. I used my usual go-to cuticle protector which is a liquid latex from ellagee. I have had this same bottle for a very long time and it's so much easier than going through an intensive clean up process especially when I am doing some crazy nail art design. The way you apply the liquid latex is to just paint along your cuticle and cover as much as you can without getting it on your nails. You have to wait for the latex to dry and then you can continue with painting your nails. For the test, I applied both cuticle protectors and then applied a super stainer polish that also happens to be one of my favorites. If I want to wear this polish, I have to clean up immediately after every slip on my cuticle or use some kind of protectant. For the test! I applied this polish as sloppy as possible. 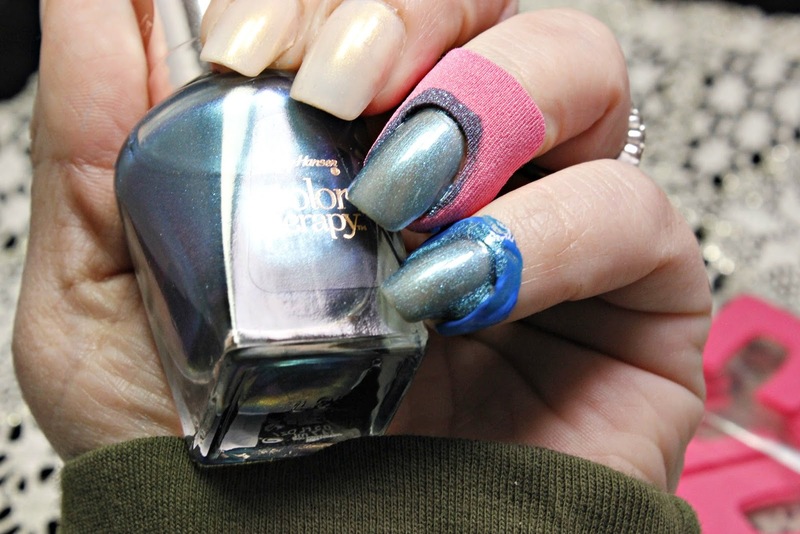 I then applied my top coat, waited for a little dry time and then pulled off both protectors. The liquid latex is tricky to work with and has to be pulled off with tweezers since sometimes there are little pieces left over. With the Big Polish Guards, I was able to grab the tab under the top of my nail and pull off the whole protector in one swoop. I definitely have a preference and it's purely ease related! The Big Polish Guards left the least amount of mess behind after I removed both protectors. For me, this was the easiest and quickest clean up. I will absolutely be using these with future nail designs! 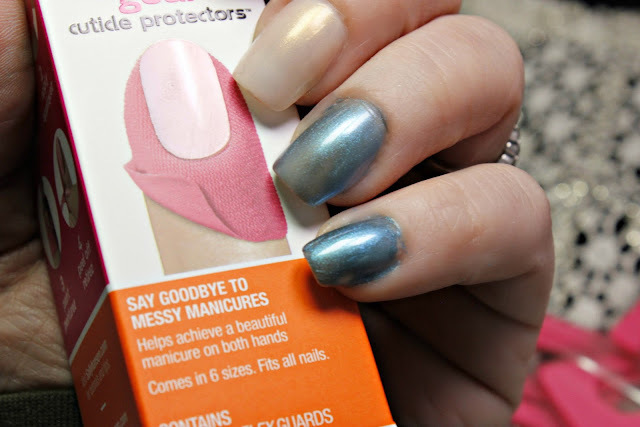 Have you heard of the Big Polish Guards from Sally Hansen? 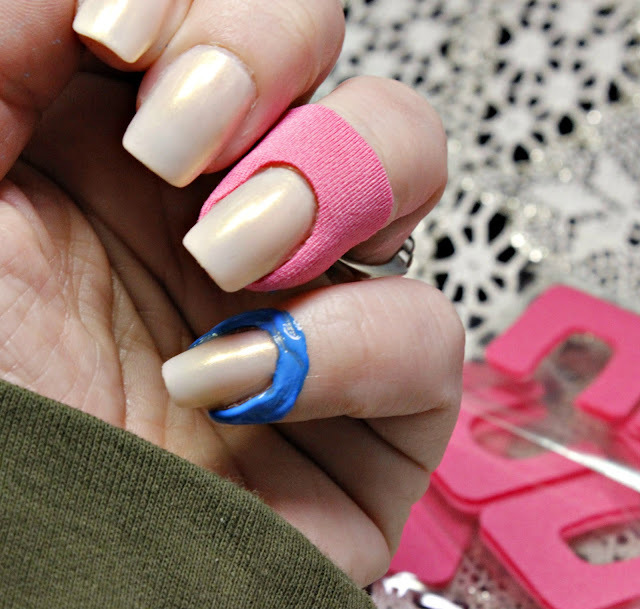 Do you use any kind of cuticle protector when doing your nails?